Bonhams to auction “Red No. 5” at Goodwood Festival of Speed sale. 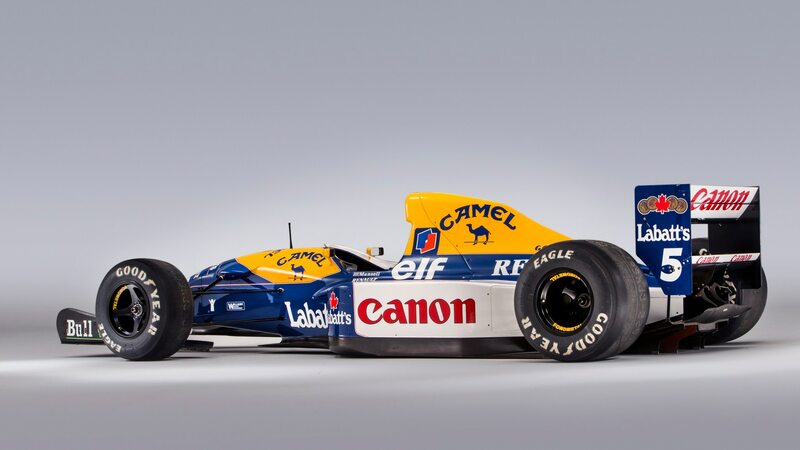 As iconic race-car liveries go, Nigel Mansell’s Williams-Renault FW14B Formula 1 car is right up there with the best of them. 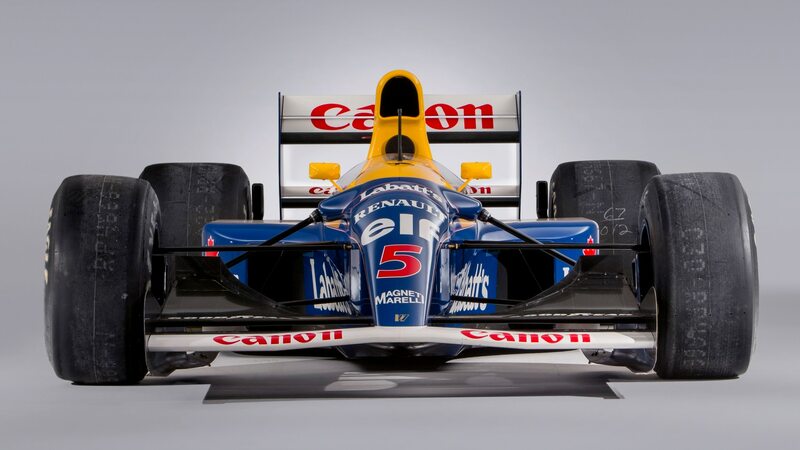 The yellow and blue paint scheme with Canon, Elf, Camel, Labatt’s, and Renault sponsorship (and of course that famous red number 5 on the nose) helped define early ’90s Formula 1 racing and was featured prominently in period advertising and other products, such as Nigel Mansell’s World Championship Racing video game for Sega and other platforms. 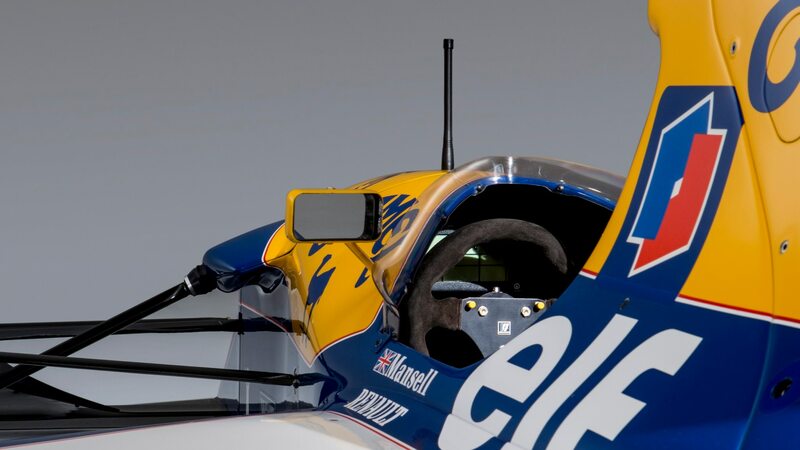 And now, Williams-Renault FW14B Chassis 08, the very car Mansell used to win five grands prix on his way to clinching the 1992 Formula 1 Driver’s World Championship is up for grabs at Bonhams’ 2019 Goodwood Festival of Speed auction. 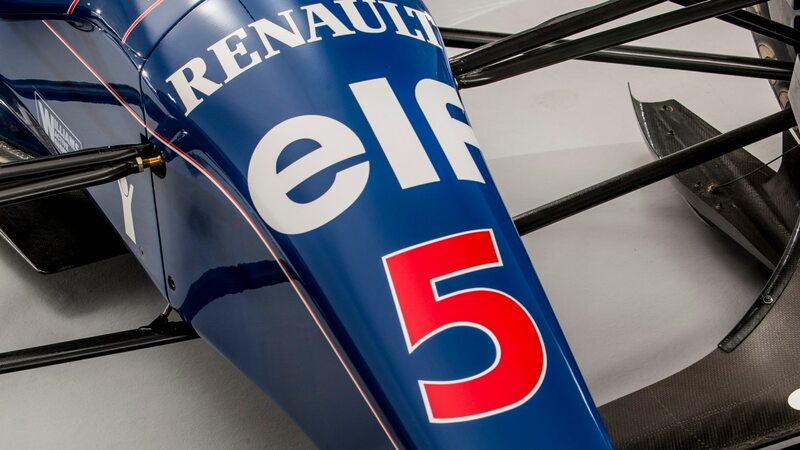 Designed by legendary race-car engineer Adrian Newey, the FW14B was dominant in its era and contained a 3.5-liter V-10 Renault RS3 engine mounted behind the cockpit. Formula 1 was rapidly advancing in this era form a technological point of view and this car features a six-speed semi-automatic gearbox and William’s proprietary GPE ride-leveling active suspension system. Because of these advancements, F1 cars from this era can be more challenging to actually use and service, but the listing for this car claims “Both its V-10-cylinder engine and the sophisticated hydraulic active-suspension system have been exercised in recent weeks.” Nevertheless, you’ll want to make sure you have you have a pretty capable F1 mechanic on speed dial before attempting any hot laps. After Mansell drove FW14B chassis 08 to five wins and one second-place finish in seven races, he handed the car over to his teammate Riccardo Patrese, who swapped the red 5 on the nose for a white 6. Mansell would go on to break the record for first-place finishes by a single driver in a single F1 season, winning nine race outings in all before 1992 wrapped up. He also became the first Englishman to win the world championship since James Hunt in 1976. 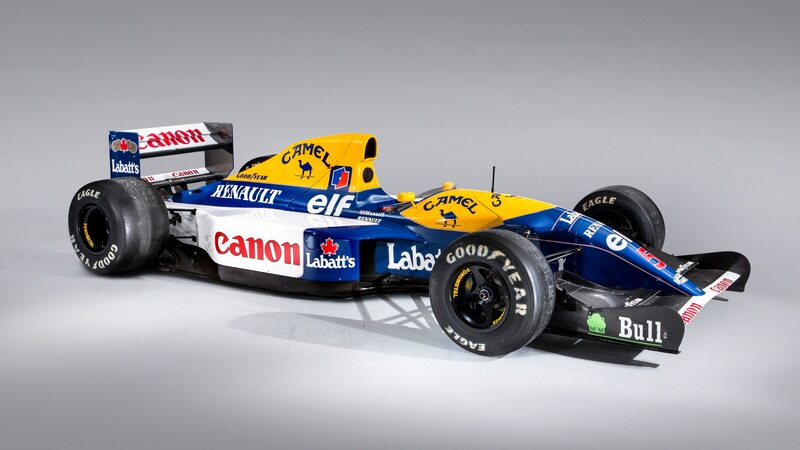 The FW14B in question has since been restored to Mansell’s championship-winning livery. Bonaham’s Goodwood Festival of Speed auction takes place July 5, 2019 in Chichester, England. Bonhams has not offered an estimate for the car yet, but we wouldn’t expect a bargain.